Make your next trip to Israel a beach-tour and be sure to visit some of these ten stunning beaches while you’re there. Located at the end of Nahariya’s famous promenade, Sokolov Beach is a public beach that is free of charge and open to swimmers. If you are professional surfer, Sokolov Beach is your dream as the waves are known as the largest in Israel. For a lovely beach that offers so much, look no further than the Dado Zamir Beach in Haifa. This beach has flower gardens, restaurants, pubs, coffee shops, and plenty of seating areas for relaxing. This quiet, little beach has much to offer, but not in facilities. It’s a beach that is free from the masses of the better-known beaches and you won’t be able to get there via public transportation, but what it lacks in facilities, it makes up for in beauty and pure, clean water. Located north of Tel Aviv, near the Herodian port of Caesarea, the Aqueduct Beach is home to 1,000-year-old ruins of an ancient Roman Aqueduct. Relax on the virtually untouched beach, away from the busy beaches of Tel Aviv. Set in the southernmost tip of Netanya, Poleg Beach has become one of Israel’s most popular summer beaches. Stop by on a Friday to enjoy an inter-city beach soccer game or beach volleyball. Popular with both surfers and divers, Acadia Beach is one of the best beaches in Israel. Located in one of the most affluent areas of Israel, the high-quality restaurants and hotels are a major draw for tourists looking for a luxurious experience. Strange as it may seem, Tel Aviv offers a beach that is suitable for religious people looking for a place to swim and sun, while maintaining their modesty. This beach is open for women on Sunday, Tuesday, and Thursday; for men, it’s available on Monday, Wednesday, and Friday. 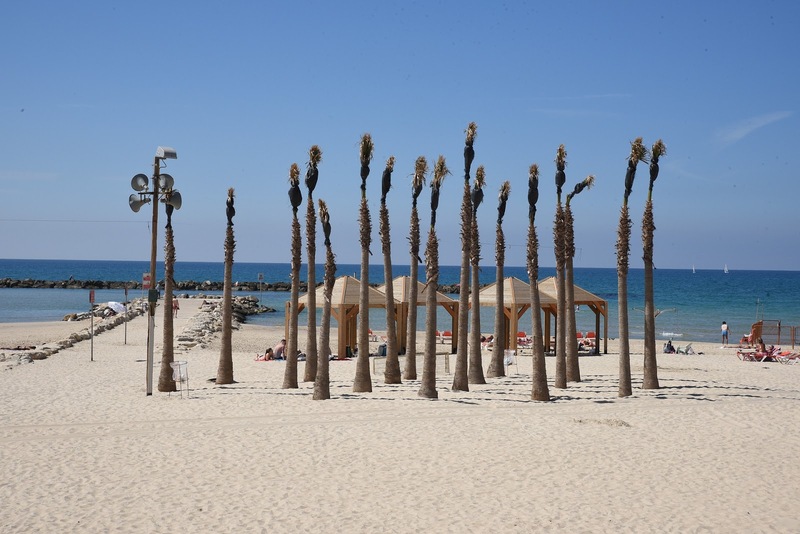 One of the most beautiful beaches in Israel can be found south of Tel Aviv, in Rishon L’Tzion. This picturesque beach does not offer many facilities but makes of for that with its clear water and clean sand. It’s not a busy beach, which means you will find plenty of space for your picnic. The largest beach in the Dead Sea, the Ein Bokek Beach is located right near all the hotels on the strip. Free of charge and suitable for all ages, this beach has lifeguards on duty, drinking water, a snack bar, and bathrooms and showers for your convenience. This beach is well-preserved and open to the public for a fee. It offers lounge chairs and a nearby snack bar. The promenade has vendors and night-time entertainment for your enjoyment. Whichever combination of beaches you decide to enjoy on your next trip, rent a car in Israel and get around with ease.